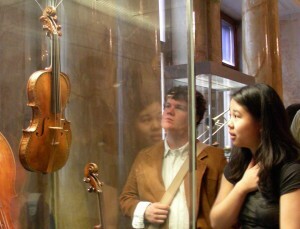 In addition to the eight composers’ museums in Vienna are several other important exhibitions. The Collection of Ancient Musical Instruments has one of the finest holdings of musical instruments in the world, including pianos owned by Brahms and Mahler, Leopold Mozart’s and Lanner’s violins, and some spectacular Renaissance instruments. The Haus der Musik (House of Music), opened in 2000, is Vienna’s newest musical museum. It is quite high tech with exhibitions on acoustics, how the brain processes music, and how the ear hears music. It also has the “Virtual Conductor,” allowing you to conduct the Vienna Philharmonic Orchestra (on a large screen) while actually controlling the tempo the musicians play. 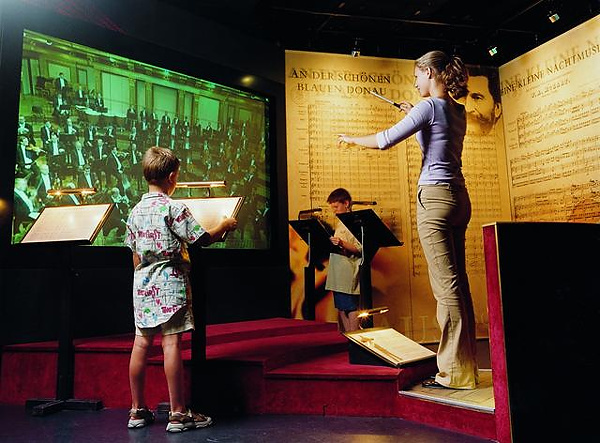 The Haus der Musik features rooms dedicated to Mozart, Beethoven and other great composers. The Vienna Philharmonic Museum is found in the same building. 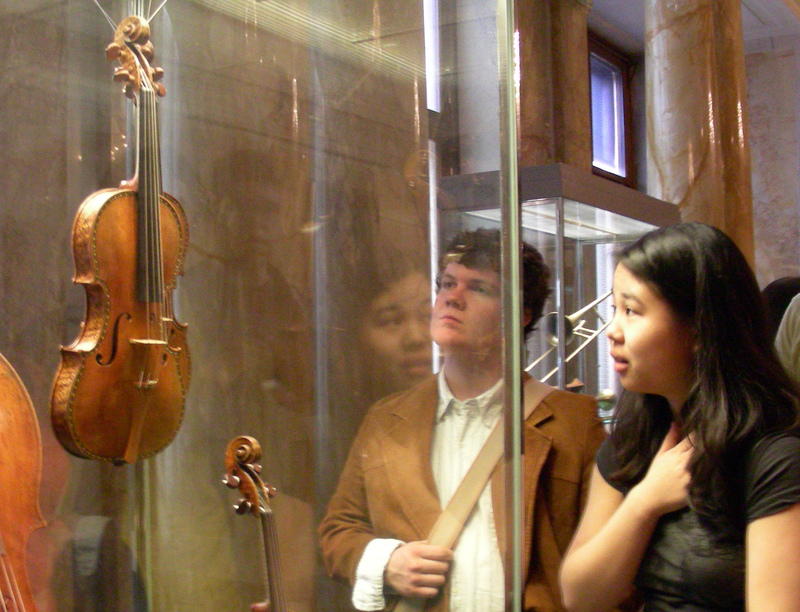 In a historic building in the winding streets of the Budapest’s Castle District, the Museum of Musical History has a permanent collection and also presents a different, specialized, exhibit each year. For our 2012 trip, Liszt will be the focus. This is a poster for a 1837 performance of a well-known opera. 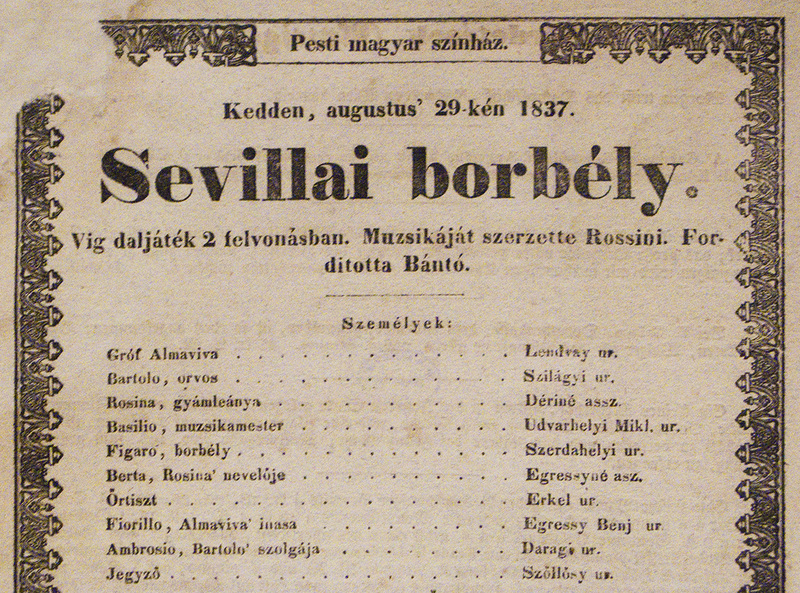 Even without knowing Hungarian, one can tell this is Rossini’s “Barber of Seville”. Some of the other Hungarian translations are much harder to figure out! The organization of the program was outstanding. I was so impressed with the effective planning. I was very pleased with the site locations. The cities were a perfect choice.